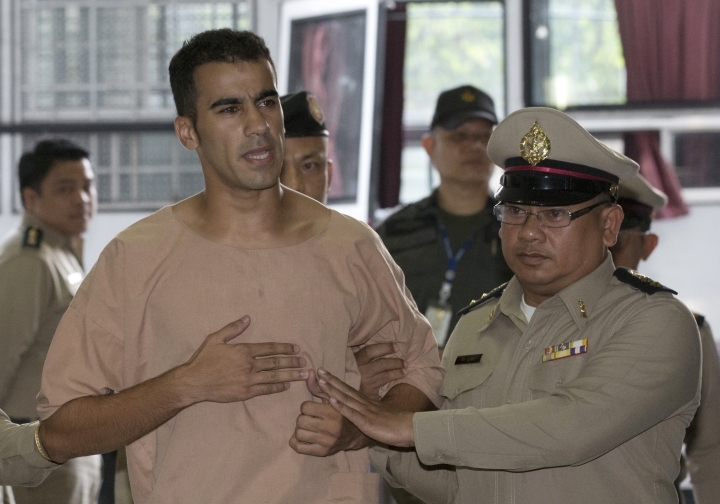 BANGKOK — The Australian government on Tuesday urged Thailand to exercise its legal discretion to free a refugee soccer player who lives and plays in Australia and told a Bangkok court that he refuses to be voluntarily extradited to Bahrain. "Thailand's office of the Attorney-General has publicly confirmed that Thailand's Extradition Act allows for executive discretion in such cases. This was also confirmed by the prosecutor in the context of yesterday's hearing," Payne said in a statement. She added: "Mr. al-Araibi is a refugee and a permanent resident of Australia and the government remains deeply concerned by his ongoing detention in Thailand." 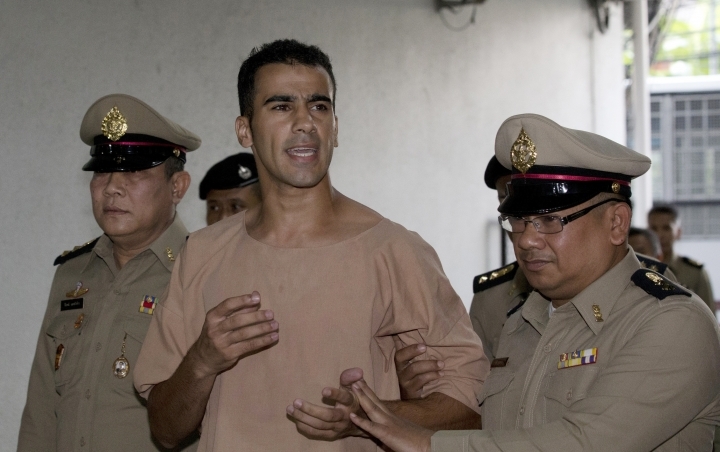 Australia continued to advocate on al-Araibi's behalf at the highest levels in both Thailand and Bahrain, Payne said. 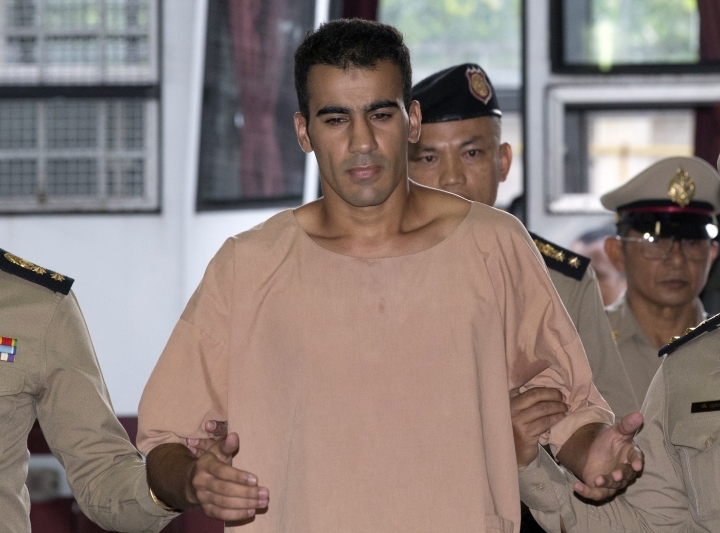 A chained al-Araibi yelled to reporters outside court as he was escorted by prison guards into Monday's hearing: "Please speak to Thailand, don't send me to Bahrain. Bahrain won't defend me." 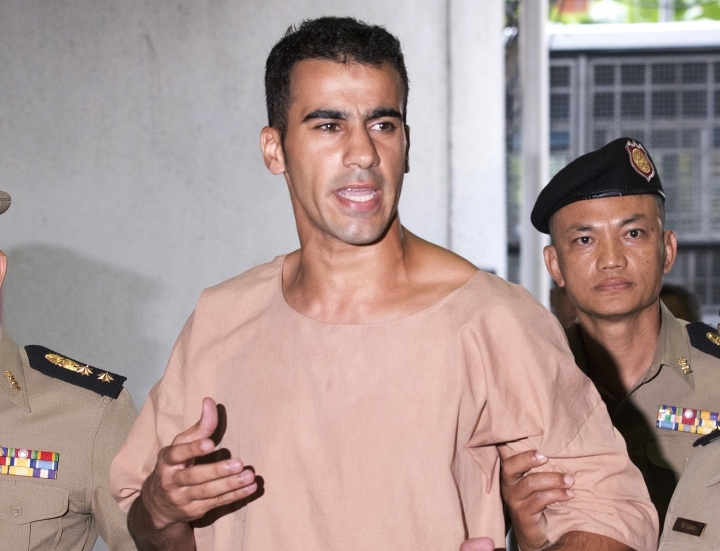 Former Australia national soccer team captain Craig Foster, who has been lobbying for al-Araibi's release, shouted words of encouragement to the jailed player. "Your wife sends her love, Hakeem. All of Australia is with you. Be strong. Football is with you," Foster said. Al-Araibi's supporters have said he should be freed and is protected under his status as a refugee with Australian residency. He was detained upon his arrival in Bangkok in November while on a holiday at the request of Bahrain relayed through Interpol. The Bahraini government insists that he should be treated as a simple fugitive and will have an opportunity to appeal his conviction in the country's courts. 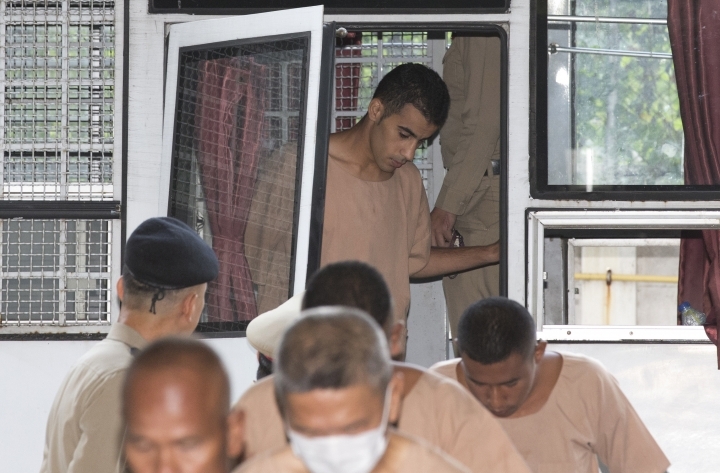 "The Thai government should see that Bahrain's sole motive is to further punish Hakeem for the peaceful political opinions he expressed," Amnesty International Thailand campaigner Katherine Gerson said in a statement. "He is at grave risk of unjust imprisonment, torture and other ill-treatment if he is returned to Bahrain." 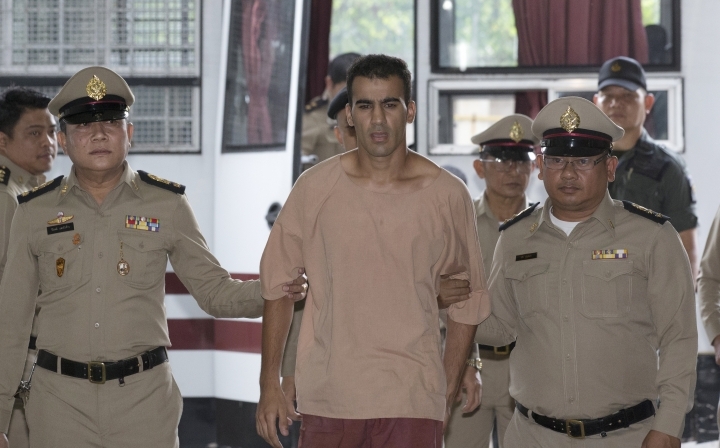 The Bangkok court set an April 22 date for the next hearing. Thai officials previously said a trial could be lengthy, depending on how many witnesses are called by each side. 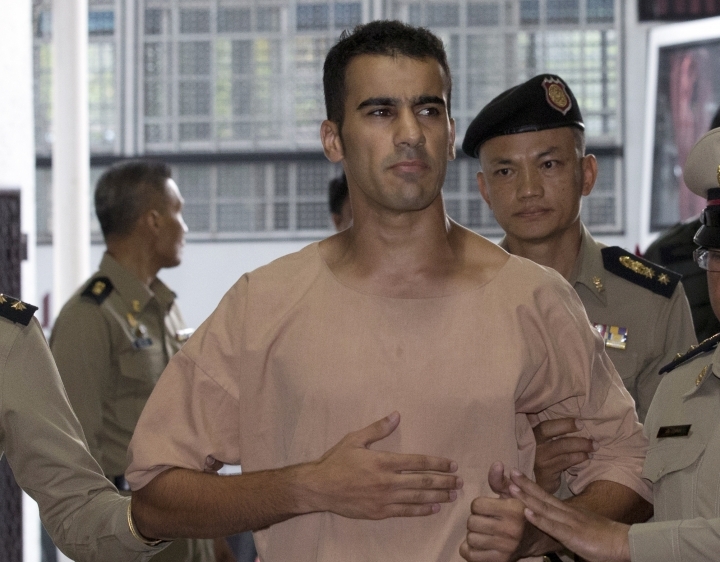 A court filing last week from Thai prosecutors noted that while Thailand and Bahrain do not have an extradition treaty, extradition is still possible by law if Bahrain makes an official request — which it did — and if the crime is punishable by more than a year's imprisonment and is not politically motivated or a military violation. Federico Addiechi, a representative of FIFA, soccer's world governing body, also attended Monday's hearing and said the organization will continue to support al-Araibi. "FIFA is committed to protecting human rights. It is a commitment enshrined in our human rights policy," he said.